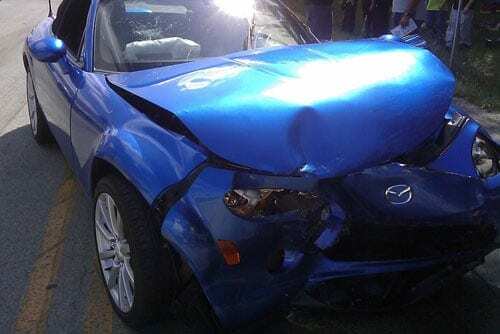 What is a Car Accident Claim Worth? The only way to accurately determine the value of a claim after an auto accident is to evaluate all the facts of the case with an eye toward fault and liability. In order to protect your rights, and to receive the compensation to which you are entitled, the services of a qualified attorney are essential. Medical expenses: These are all the costs related to your medical care. Examples of such expenses are doctor visits, emergency room expenses, physical therapy, medication, prosthetics, cosmetic surgery, or any other medical device that may be necessary for your recovery. You can recover these expenses if they result from your injury, as well as future and ongoing expenses in whole or in part. As an auto accident victim , you may also seek compensation to recover the amount of money or wages you would have earned during the time you were incapacitated or disabled. You can claim lost wages even if you were unemployed at the time of the injury if you can effectively prove what you could have earned during the period in which you were injured had you been able to do so. If the injuries sustained in an accident are catastrophic, such as a spinal cord or brain injury, the victim may be disabled or paralyzed for life. In such cases, if it can be shown that the individual will never be able to work again or to earn a livelihood, past earnings are used as a measure to determine an appropriate amount to be awarded in damages. Affixing a value to this type of damage is extremely difficult. When a person has been incapacitated for life, and will never again be who they were before the accident, there is no set formula to quantify that degree of loss, but that does not make it less real or less worthy of compensation. This claim is usually made by the uninjured spouse of the victim for loss of the benefits of married life. This includes loss of companionship, sexual relations, help, and solace. In determining the value of this type of loss, a jury will typically look into factors such as whether the stability of the marriage was affected by the accident and resulting injuries. Injuries from car accidents not only cause physical pain and suffering, they can also cause severe emotional problems such as depression, panic, nervousness, anxiety, humiliation, and loss of dignity. This is especially true in car accidents where the victim has been disfigured. In such cases, compensation can be claimed for emotional distress and mental anguish. This refers to the physical pain and suffering that is a direct result of the injury sustained in the accident. It is not unusual in severe cases for victims to deal with discomfort for the rest of their lives. In the majority of cases, the jury in a court proceeding determines the level of damages be awarded depending on the nature and severity of the pain. In addition to these damages, you could also claim compensation for the value of the property that was damaged. In Washington, the degree of fault must also be determined as it has a direct bearing on how damages are awarded. If you were partly at fault, an insurance adjuster is likely to reduce your recovery amount by your percentage of comparative fault. Given all the factors that can relate to damages claimed and rewarded, you need a qualified legal professional on your side to determine the correct value of your claim. Your settlement has the potential to affect you and your family for the rest of your life. Call the skilled and knowledgeable at the Bernard Law Group for a free and comprehensive consultation today.